To me baseball has been a passion ever since I saw my first game at age 7, at Yankee Stadium (It’s still hard for me to accept that). At age 8, I saw my first game at Shea Stadium and have been a New York Mets fan ever since. Although my loyalties are pledged to the Mets, I am, in general, a big fan of the great game of baseball. You might wonder what “Baseball Stadium Connoisseur” is all about. Well, my wife, Cathy, and I were attending the 1st Mets game (an exhibition game against the Boston Red Sox) at Citi Field in 2009 and I was interviewed by a reporter from Major League Baseball. Although my words were mangled a little, the reporter tagged me with the monnicker by referring to me as “… baseball stadium connoisseur Roger Ratzenberger…”. One look at that and a friend, shortened it to the “BS Connoisseur” and it stuck. Therefore, I felt that this would be a good name for my Blog as well. I am a member of SABR (Society for American Baseball Research), a sustaining member of the National Baseball Hall of Fame (join) and a player in the Coltsville Vintage Base Ball League and a member of the Board of Directors of the Friends of Vintage Base Ball. My story on Channel 12 Connecticut as part of a teaser for the 2013 Major League Base Ball League All-star Game. Read my Baseball Blog (although I have to admit, I don’t have the time to update it too frequently). Click here to see today’s baseball quote at http://quote.webcircle.com/. I was honored to be profiled in the book The Fastest Thirty Ballgames by Chuck Booth, Craig Landgren and Kenneth Lee. More information can be found here. Thanks guys. Click here to find out about “Hit the Road! Traveling the U.S. & Learning English with Baseball Stories” by Tsueno Matsuura where I had a photograph of the Field of Dreams published. Check out my Baseball Quest to visit all MLB stadiums as well as other baseball sites. I should probably call this Baseball Stadium Connoisseurs now. 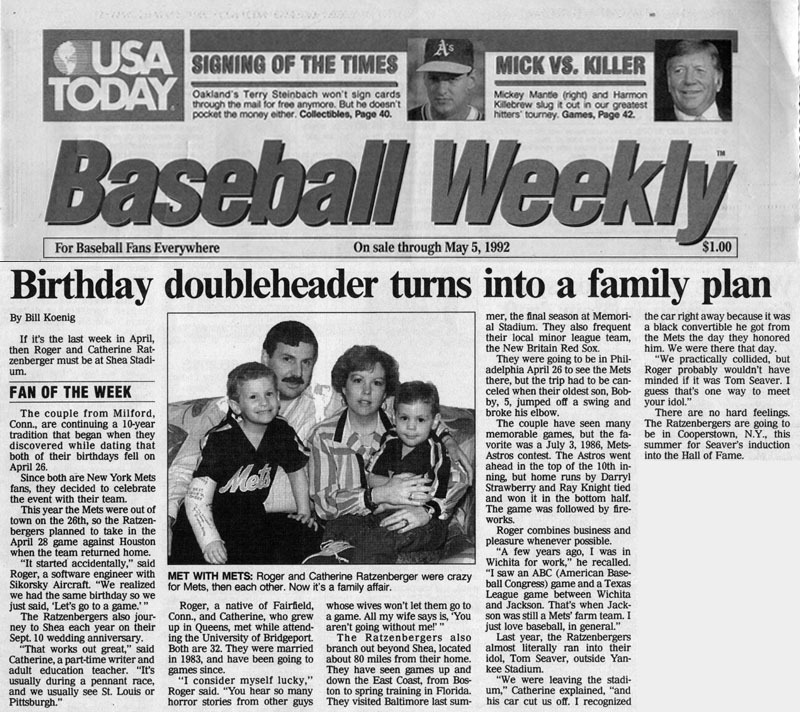 My wife Cathy, a big baseball fan herself, joined me (along with our sons) on many of my baseball trips. In fact, it got to a point where she was within 4 stadiums of seeing games at all of the active 30 and figured, why not complete The Quest. 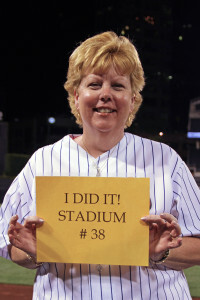 With her 38th stadium, PETCO Park, she achieved that goal. For the first time we checked off the 30th active stadium with our visit to SunTrust Park in Atlanta. Please take a few moments and check out the petition to have Daniel Lucius “Doc” Adams on the National Baseball Hall of Fame ballot. Here’s my page on Doc Adams. 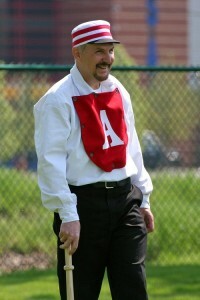 For more on Doc Adams, visit Doc Adams Base Ball.org.